HAD last week’s kidnappings of bloggers and social media activists happened in Balochistan, it would have been a non-event. But all five abductions happened in Punjab — and now the authorities are feeling some heat. Salman Haider — a lecturer at the Fatima Jinnah Women’s University in Rawalpindi — was intercepted while driving on Islamabad Expressway on his way home. Others were picked up from Lahore and near about. They include social activist Samar Abbas, social media bloggers Aasim Saeed, Ahmad Waqas Goraya, and Ahmed Raza Naseer — who suffers from polio. Their whereabouts are unknown as of the time of this writing. Still others are said to be missing with families too fearful to register formal complaints. These near-simultaneous abductions required complex operations, suggesting involvement of some secret state agency. Apparently, there were no prior direct threats, no demand for ransom, and no evidence of the grisly violence used by jihadist groups. And, as the phone calls made to the families showed, the abductors were dismissive of their identities being traced. Just a little thought shows the level of resources and planning that such actions demand. First, tracking mobile internet users is not for novices. Only specialised cyber tools can uncover the identities of those anonymously operating a Facebook page or website. This requires skills, equipment, and persistence. Since IP numbers — which identify a particular device — are alterable and wireless networks can be accessed from anywhere, tracking records are needed. Only the authorities have such data acquisition facilities. ####The kidnappings are designed to eliminate the tiny sliver of cyberspace activists currently have. Second, anticipating that certain materials could be deleted, selective screen shots of the pre-takeover content of Facebook pages were taken. These were later released for circulation with the goal of arousing public anger. 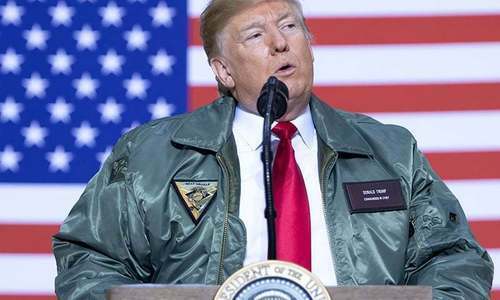 Tellingly, after the user accounts were hacked into and taken over, the earlier content was deleted and replaced with pro-military and pro-extremist rants. Third, extensive tracking of individual movements was needed. In addition to physical shadowing, this requires tapping of telephones and email. The case of Goraya, a former Quaid-e-Azam University student currently studying in the Netherlands, is particularly significant. He had briefly returned to attend his sister’s wedding and was nabbed shortly thereafter. The deep state had bided its time, watching and waiting for him to return to Pakistan. Suspicions of official involvement were not allayed when Interior Minister Chaudhry Nisar Ali Khan declared that he had been in touch with the intelligence agencies. Subsequently he was “hopeful that Dr Salman Haider would soon be recovered safe and sound”, but made no mention of the others. How bad are the materials which right-wing and pro-establishment sites are deeming blasphemous and anti-Pakistan? Having glanced at a few pages from FB accounts under the names of ‘Roshni’ and ‘Mochi’, in my opinion some remarks by their visitors placed here and there were clearly stupid and irresponsible. Another called ‘Bhensa’ was outrageous and offensive. Nevertheless, to abduct its alleged operators is a travesty of justice. Intemperate and irresponsible web behaviour of young people is induced by the apparent security provided by cyber anonymity. But, disagree as one might with parts of the web content, the fact is that none call for violence — or even hint at its desirability. I could not see any demand for mosques to be closed down, mullahs to be hanged, or calls for violence. An overwhelming majority of posts call for peace, tolerance, freedom of worship, rule of law, an end to repression in Balochistan, action against corruption, etc. Salman Haider, a poet of considerable merit, has a large following on social media networks. He writes passionately in Urdu about the need to reclaim space lost to extremism, the brutal targeting of ethnic Hazaras, and the missing persons in Balochistan. Ironically, he too has now joined the ranks of the missing. Demonised, persecuted, denied space on TV channels and in the Urdu print media, the voices asking for a modern Pakistan and peace with neighboring countries are being increasingly stifled. The recent kidnappings are designed to eliminate the tiny sliver of cyberspace they currently have. On the other side of the spectrum, full internet freedom is enjoyed by sectarian religious organisations, militant jihadist outfits, and even so-called officially banned organisations. Those representing such mindsets also fill TV channels on political talk shows, and their Urdu newspaper columns accuse all and sundry of being foreign agents and blasphemers. Even those arguing for the release of the abducted activists are being called blasphemers. Although intelligence agencies are empowered to act where national security is jeopardised, no one has alleged that the abducted activists are dangerous people. Nevertheless, there is a strong feeling that elements within Pakistan’s deep state felt sufficiently outraged to take the law into their own hands and order the disappearances. But why this anger? Do Pakistanis not know who their true enemy is? Liberal fascists — as they are called in the Urdu media — did not orchestrate the suicide truck bombings that levelled ISI headquarters in Peshawar and Sukkur, the attacks against police academies in Lahore and Quetta, the grisly games played by the Pakistani Taliban with the severed heads of Pakistan Army soldiers, or the horrific massacre of APS students. The army, police, and Pakistan’s security agencies have paid a terrible price in lives and material at the hands of religious fanatics. Extremist organisations and individuals have declared bloody war upon the state. Against the culture of intolerance, corruption, and militancy that is ruining Pakistan, only a few brave souls have dared to speak out. It is insane to crack down on them. Excellent write-up, specially the logical approach in determining who could undertake such a task.... sad state of affairs though.
" modern Pakistan and peace with neighbouring countries ..." Has been stated to be the reason for the mysterious missing of the five " activists" . Respected prof. Hoodbhy has also asserted that the banned " extremist " outfits have total freedom in the cyberspace. No body wants war with neighbors but our neighbors do not want peace with us is so evident , needs no assertion . As for " modern" Pakistan, the modernism has to be in sync with our Constitution and our founding philosophy . A cry in the wilderness ! You never disappoint us Hoodbhoy.Thanks. The problem is extremism no matter what ever end can see, if anyone cross-limits they make our society in tremendous pain. Unreadable & unwatchable material is on social media and unfortunately that is in our national Urdu language. Hats off sir! Always a pleasure reading your articles. The sane voice of an otherwise insane society.Thank you professor! Please look after your own safety, Sir. God bless everyone in Pakistan trying to make a point. Whomever talk against official narratives, or speak against established views and cherished believes will be in danger of persecution. Our own interior minister Nisar openly condones the - views and acts of religious groups. Mind-set - is sickening to put it mildly. People like you should keep a body guard - a strong advice. May God bless you with a long life and happiness. Does tell the priorities of deep state though, doesnt it? If Cyber Crime bill is in place, the those people needed to be bring infront of court and not to be abducted anonymously. Superb article, wish we had more of your kind. Pakistan is a democratic and progressive country. It should tolerate dissent and healthy criticism as is the case in every democracy and open society. Voices of reason and logic should not be suppressed. We all know what they were doing on social media. Thank you for highlighting this issue. When the state itself denies human rights to its citizens, what respect can we expect from the world? Your insight into how these people were tracked, how selective screenshots were used to malign the activists and public opinion shaped against them clearly implicates government agencies with Holier Than Thou complex. the security agencies cannot halt freedom of speech in this manner, they can certainly persecute the few they can get hold of, but the internet by its nature is a realm beyond the reach of all governments, the US included. Therefore its futile to be grabbing people like this, not to mention unconstitutional. The contents of the FB pages have now been made public and every one know what they have been uploading. At least this should be a part of your analysis. Why just single out extremists groups, radicals or far right or far left!? If you consider that the average Pakistani has become so numb and docile from all the news about corruption, mismanagement, failed state-owned enterprises; nepotism; loot, plunder, offshore accounts, and billions being shifted from here to there, without any accountability - he himself has started to accept this as the norm. Pakistanis therefore, are themselves the enemies of the state, and seem in no mood to revolt against all the ills and political opportunists. The enemy is within, not without. When you see evil, and look the other way, even accept it, and perhaps, partake in it, you are just as responsible for the failure of the society. On dot sir. It is now responsibility of young generation to keep things like politics, region aside and pressurise government to act in right direction and change policies. Pakistan's biggest problem are extremist, religious extremists and extremist social activists both! I disagree a little. Pakistan's enemies are extremist/terrorists, India AND the secular parties and the secular Western educated ruling elite who have stolen our money and left us to the dogs. Pakistan has never had a Molvi-government. @Haider so does that justify abduction? @KhwarAzmi : so what was the MMA and IJI? A very logical article by Prof Hoodbhoy. However, will the concerned authorities really understand the problems that plague Pakistan. Great as always, please be safe. 100% agree with Mr Hoodbhoy. Pervez Hoodbhoy is different writer,he always leave space to agree or not to agree.The security problem is complex in Pakistan,and Pak LEA & Security Forces are appropriately dealing with it.Mr Hoodbhoy should agree,that huge funds are needed to combat terrorism,if funds remained at disposal the operations went on smoothly and terrorism is curbed or eliminated,but if elite rulers kept on bungling huge money and carried out corruption non- stop the paucity occurred in operation capabilities,and security forces suffer. Hence it would best if elite rulers stop all corruption activities untill operations against terrorists ends. When you are unable to shoot the message,shoot the messenger! Extremism and liberalism are not mutually exclusive. There is an inherent tendency in most 'isms' to become to extreme. Although the author is purportedly an expert on time and space, this logic needa a pinchful of salt. Another decade or so and we'll know who and which forces shall prevail and the country we may become. @M.M AMIN ( old ravian ) A constitution that has been messed about by dictators and amended at will by the strong armed politicians and their militant vote banks? awesome job in bringing this issue to the public, I know most of the comments never gets published because if am sure these folks who are part of the censored group here does not like to post the comments with facts in it. It seems people like Mr. Hoodbhoy are very badly needed in Pakistan. The country is acutely short of such people. 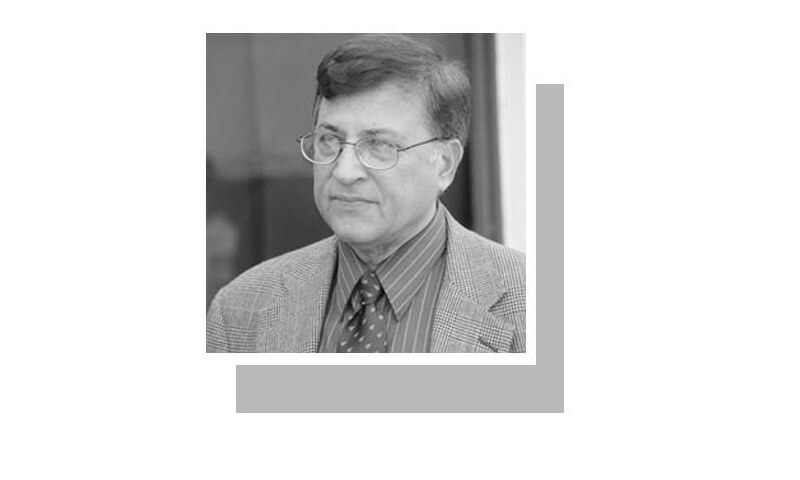 The Government needs to listen to people like Pervez Hoodbhoy and heed so that we can get back on track to becoming an enlightened and progressive country. The disappearances may become a non-event in Punjab, as well--tens of thousands disappeared, were tortured or killed in Argentina and Chile over decades. It is a study in the mechanics of power--how it controls the text books, the press, radio, television, telephone, Internet and the people to perpetuate itself. When power subjects us to force and displacement, we behave accordingly, altering our environment. Excellent but at some places still beating about the bush. Mr. Hoodbhoy is diplomatically, and in a nice way, trying to tell the establishments to wake up, and face the real problem on hand, instead of taking the easy path of punishing people who do not really matter. I guess Mr. Hoodbhoy has to be careful in not upsetting the establishments. Mr. Hoodbhoy badly needs support from the Pakistani people and the media. Let us hope he gets that support. You are a very good man. Be Safe, Pervez Hoodbhoy. Beside democratic Pakistan is also an Islamic country. Citizens must respect the country's values. Anyone making inappropriate comments needs to be dealt by law of the country. When will progressive Pakistanis dominate national politics and social leadership? For our beloved country to progress and achieve normalcy, we need to eliminate religious extremism and overcome anti-India sentiments. Also, we need to separate religion & politics and ask our military to focus on guarding borders rather than setting India policy. Long live Pakistan! A very brave article. Things like these cost the country a country. But alas, the country never learnt. @KhwarAzmi when did Pakistan have any money? @Haider They posses to be following the rules of the game but got erected above the three pillars of the state. Sad to bring a new chaos as still no body knows where is the missing person and if he is the only missing person? Very well written, and to the point. Very good article. Government of Pakistan needs to put full force together and get rid of such terrorists and fundermentalism. Agree with you. May God give the ability to concerned authorities to see the truth as for the last 40 years they have deceived the public and played with their lives. Very correctly said..... but then who listens to what is correct now-a-days. Simple conclusion state or establishment is not in mood of hearing any criticism or completely disallowing small tiny cyber space.But no problem it would be regained soon. Pakistani awam should raise voice before it's too late. The establishment need to be challenged in collective way. Bring them on knees before they do. @KhwarAzmi And what would you call the "government" of general Zia?